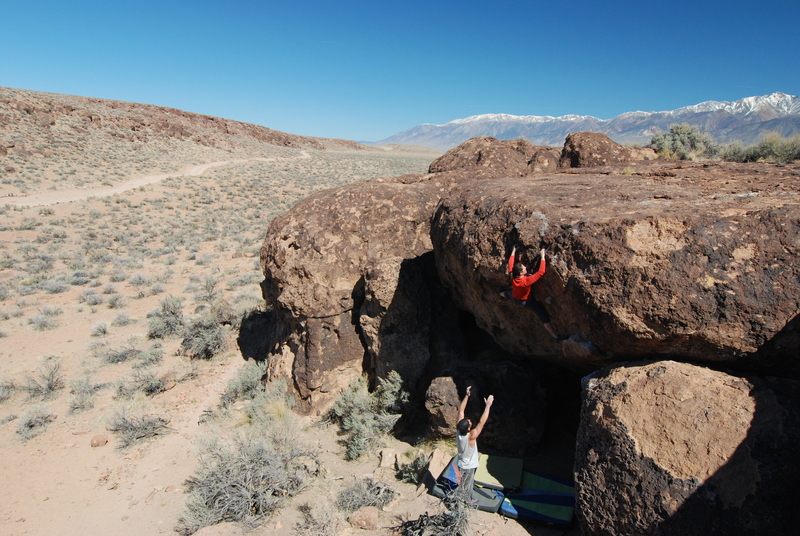 Sarah – Ironman V4, Bachar Problem Left V5, Molly V5, Shizaam V5, Fueled by Hate V5, Perfectly Chicken V5, French Press V6, and Green Wall Center V6. 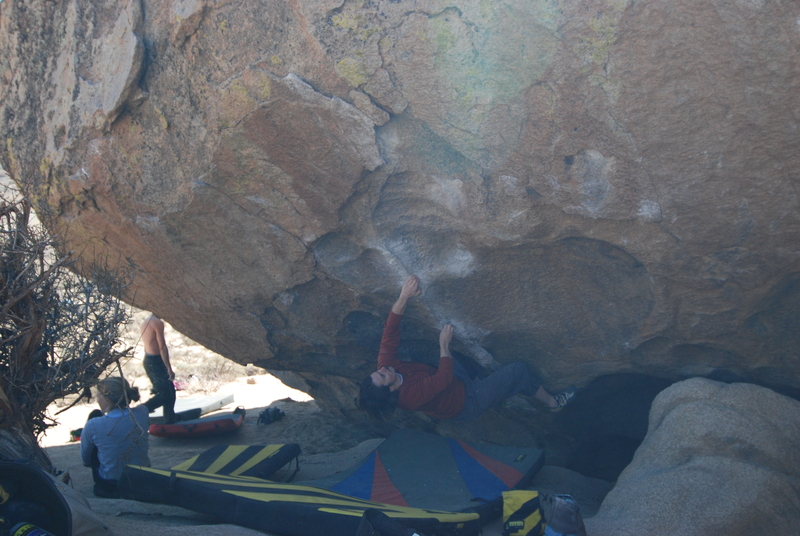 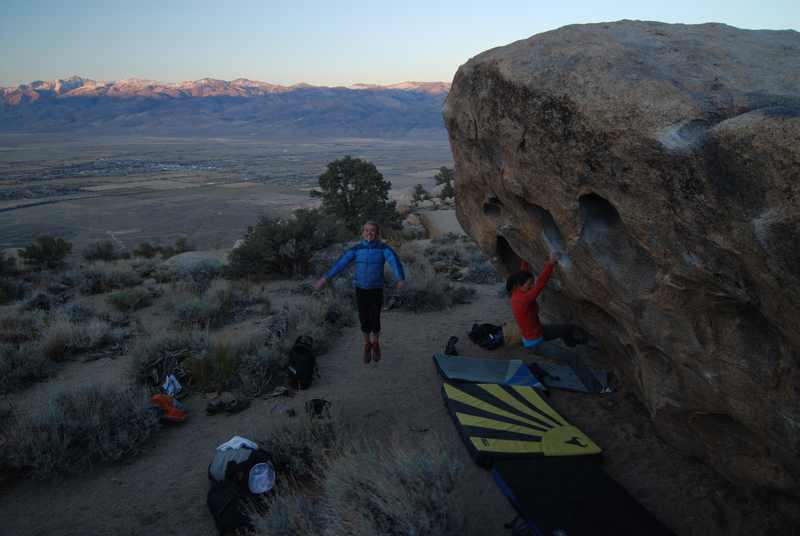 Ho-Master – Zen Flute V10, Beefy Gecko V11, and Kill on Site V12 (!!!). 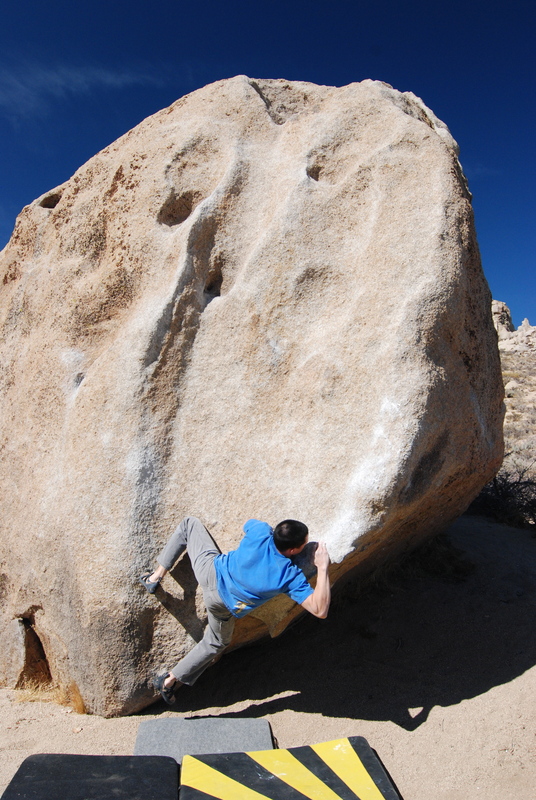 Myself – Kredulf V4 (amazing! 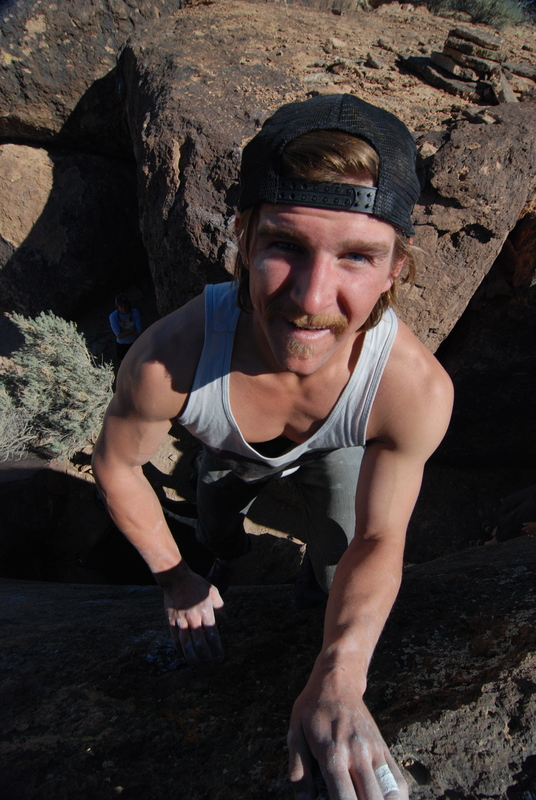 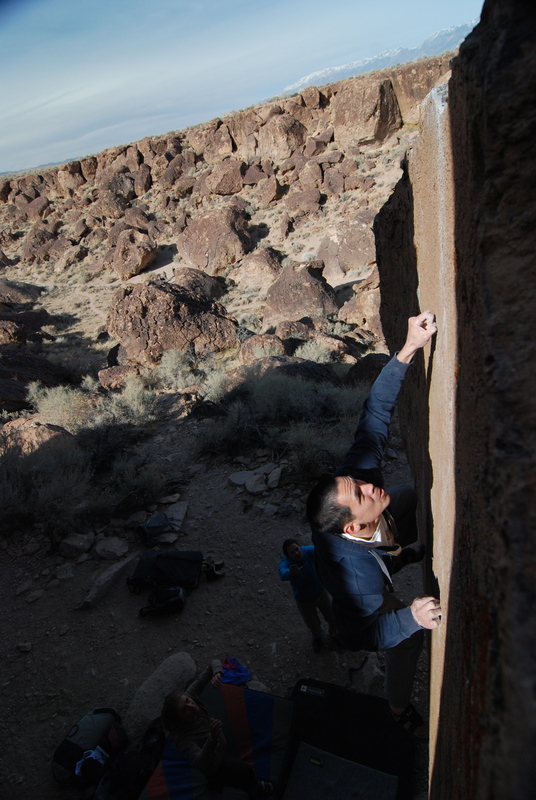 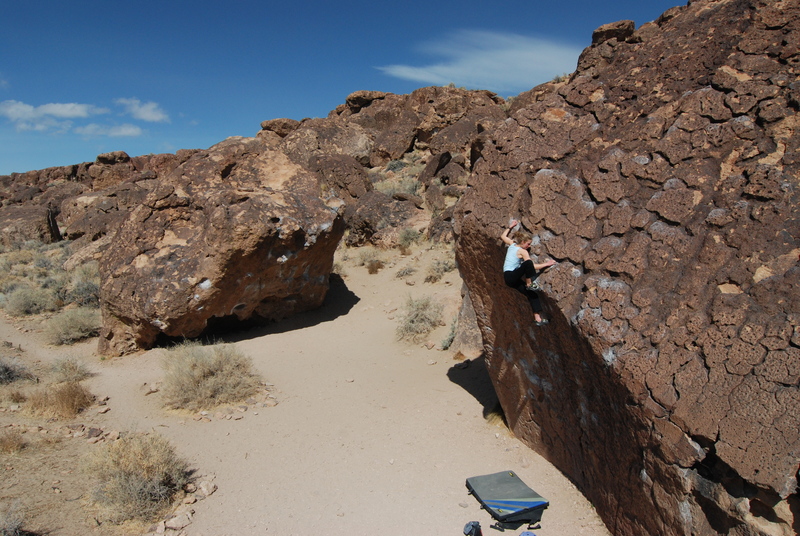 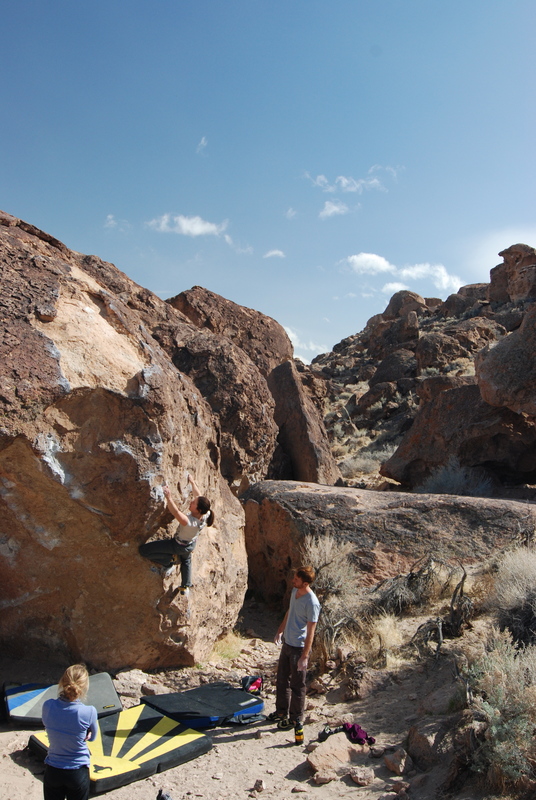 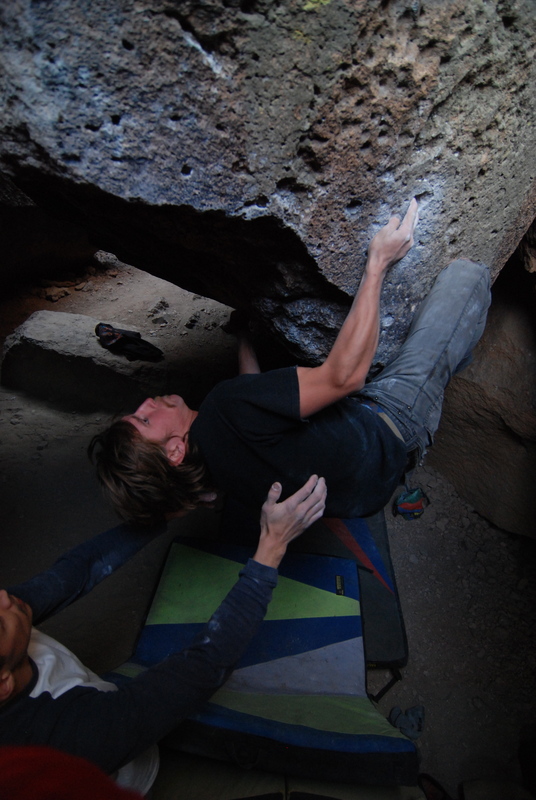 ), Molly V5, Bachar Problem Left V5, French Press V6, the Gleaner V6 and the Cave Route V6. 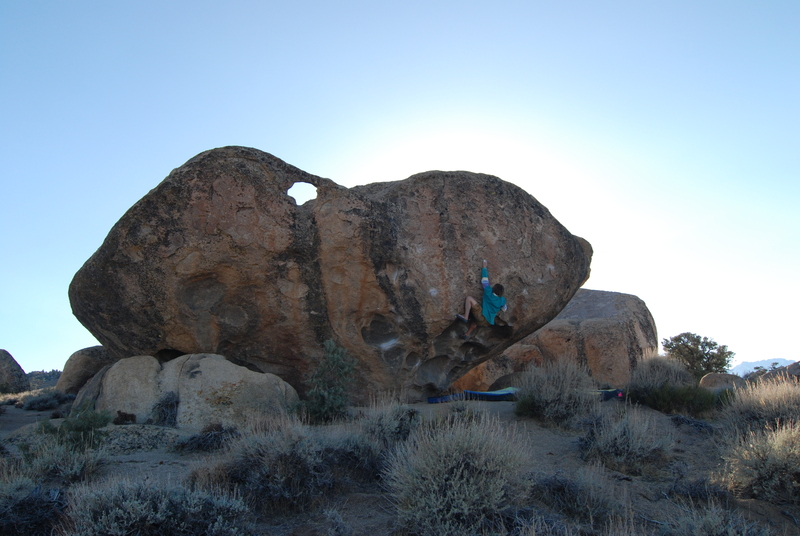 Inge – Jumior’s Achievement V8, Grotesque Old Woman V7 (flash), French Press V6 (flash), Green Wall Center V6 & Strength in Numbers V5. 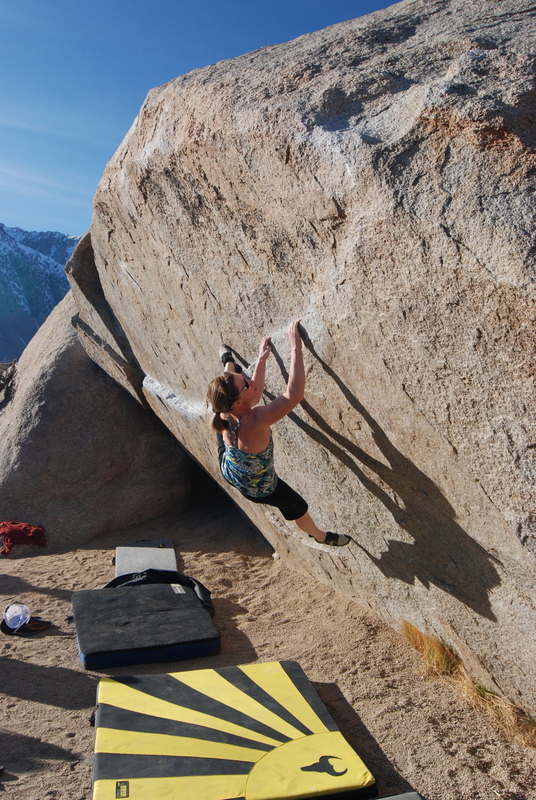 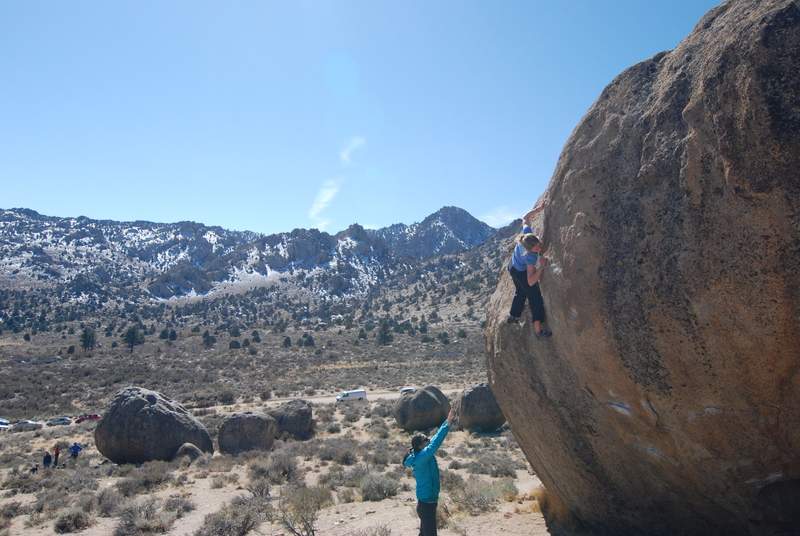 She has also flashed practically every V5 and under in Bishop. 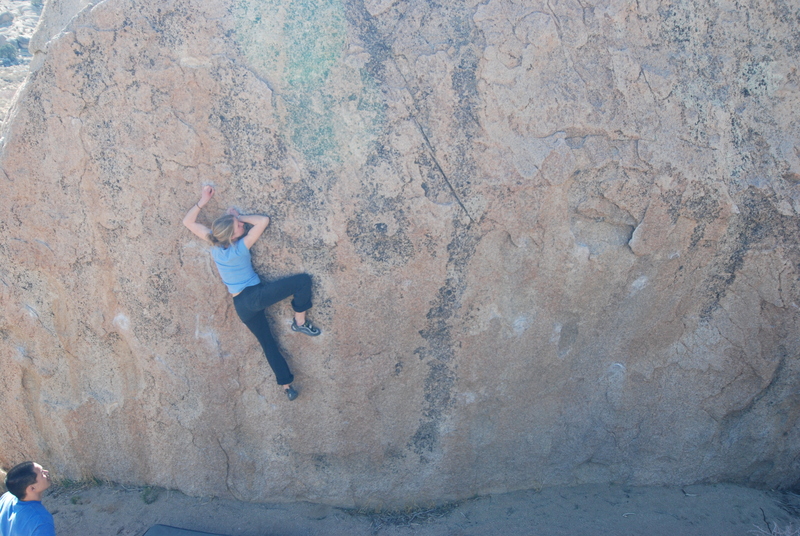 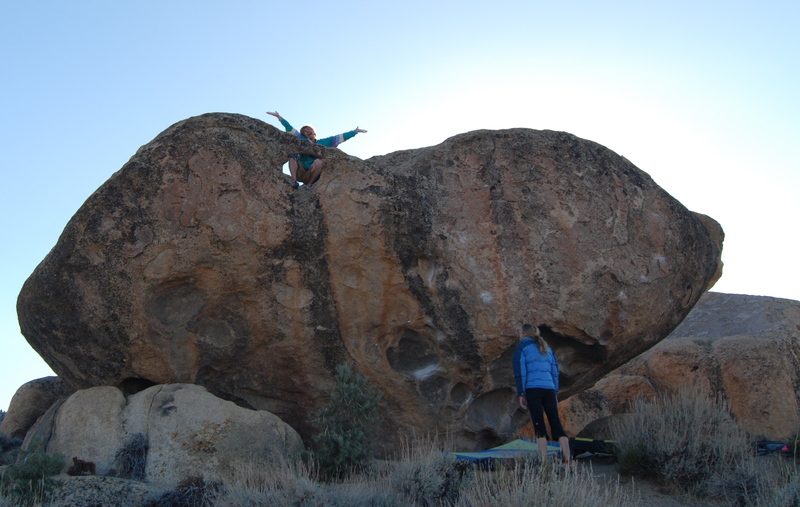 Leslie – Thunder V3, Cave Problem & Kojakian Wisdom Reworked – her first V4s outside! 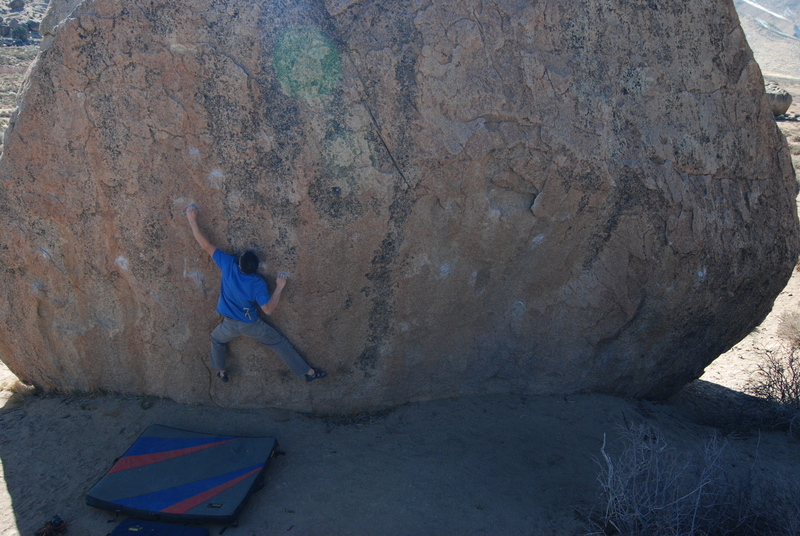 Done with the spray, how about some photos?